No, rest assured we're not talking political campaigns, people. This is a decor blog afterall. We're talking desks. Specifically those pretty desks with the "x" shaped legs. I love this white one from World Market...and it comes in other colors as well...like black and even blue. You know how it is when you initially see a space, you come up with an idea as to how things will work, where you will do what in the space. Then, after you live in it for a while, you realize that your initial idea isn't at all practical and that you are going to have to change your plans. You do that, don't you? I hope it's not just me. Anyhoo, I originally had plans to take over the built-in desk in the kitchen as my blog-central. But, after assessing the way we live in this house, I felt like that space was better used as the location for the kids' computer. And that's what happened. So I have been using the dining room table...which isn't very convenient. And the hubby and I decided that we are going to have to put a small office space in the master bedroom. But since it is going to be in the bedroom, I need it (for the sake of my sanity) to be pretty. Enter the campaign desk. I have been enamored by these beauties for a while. And initially thought I'd like a white one like the one pictured above. 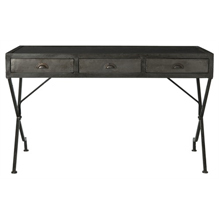 Then when doing a search for "campaign desks", I discovered this beauty at World Market. LOVE. Went back there today to link to it, and guess what? It's gone ALREADY. I'm hoping that our local World Market might have one in the store...if not, I guess I'll have to give up on that idea. Because these other similar models are a little too pricey for my blood. Pretty though, aren't they? 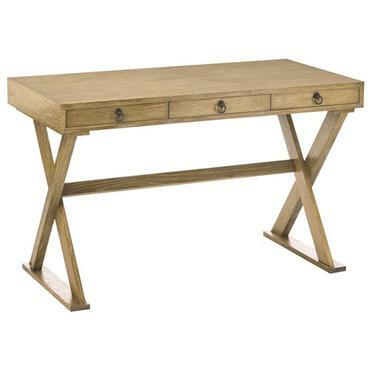 And so the search goes on for the perfect campaign desk. What's your favorite style of desk? Well, I thought that a nice built in would be my choice but those campaign desks-swoon. In our den (see demo picture on my blog today) has a big butcher block with steel legs. I love that piece. We lucked into it at IKEA in the as is section. My plans are to paint it navy and find a lion head pull or spray the current pull gold. We've been looking for a desk for our office. I originally pictured an old farmhouse style table, but I'm loving these desks that you've shown. Hmmm, perhaps I'm going to have to change my plan! Lovely... I am craving a big, roughed up drafting table that begs for a stool and an old pharmacy lamp to keep it company. Thanks for sharing these. 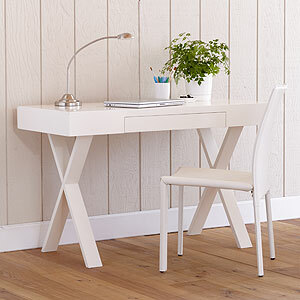 I love the white desk and can see it used in my niece's room too! It's cute! It's kinda sorta similar to stuff Ana White has put out plans for. . . maybe? 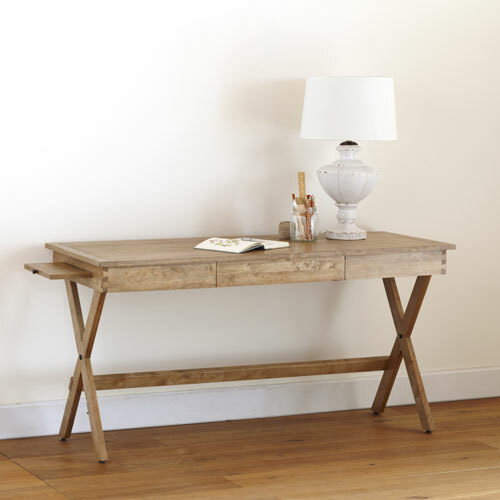 I like the simplicity of a campaign desk, but have always needed the utility of a piece with more storage. Lovely pics! Thanks for sharing. i love campaign desks! they are definitely my favorite style!! i'm really loving the natural/wood tone ones! Gorgeous desk! I have a gorgeous desk that is just entirely too big for my space and need to sell it in order to get a more practical one. :( I think you have picked out a great style!